يقع فندق Noosa Tropicana Resort في منطقة تتمتع بمعالم كثيرة، وتعتبر المكان الأنسب لاكتشاف هذه المدينة رائعة الجمال و ما يحيطها. يمكن من هنا للضيوف الاستمتاع بسهولة الوصول إلى كل ما تقدمه هذه المدينة النابضة بالحياة. يضفي محيط الفندق اللطيف وقربه من أكثر المعالم السياحية جذبًا سحرًا خاصًا على هذا الفندق. إن الخدمات التي يقدمها Noosa Tropicana Resort تضمن للنزلاء إقامة مريحة. هذه بعض الخدمات الموجودة في هذا الفندق: تسجيل وصول/خروج سريع, تخزين الأمتعة, صف السيارات, التوصيل من وإلى المطار, رعاية أطفال. في الفندق غرف نوم يتجاوز عددها 20، كلها مجهزة بعناية وجمال وبعضها مزود بـ تلفزيون بشاشة مسطحة, حوض الاسترخاء, غرف لغير المدخنين, مكيف هواء, تدفئة. يقدم الفندق العديد من الفرص للاستجمام كمثل مسار جولف - ضمن 3 كم, حمام سباحة خارجي, تدليك, حديقة. إن كنت تتطلع إلى إقامة مريحة وهادئة في المدينة، فستجد في Noosa Tropicana Resort بيتك الثاني. Great place to stay, easy access to everything, nice staff, pool is clean. Value for money, will definitely come back and recommend to friends. 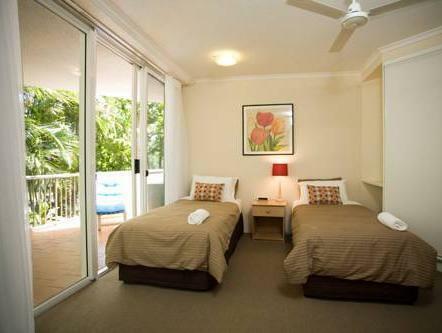 Great location, 10 mins walk to the activities and restaurants of Noosaville and 30 mins to Hastings St. Well maintained and clean resort with friendly and attentive staff. Will come back. wedding anniversary long weekend, peter was good enough to gift us a nice bottle of white wine. We had a great unit with a hot tub on the roof. The Units were very well equipped and the staff were very friendly and helpful. Staff were very friendly. Apartment was spotlessly clean. We enjoyed our stay at Tropicana and have no hesitation in recommending this resort. I have travelled to noosa for a wedding with a group of 6 people. We had a 3 bedroom apartment. The apartments were large, clean, and the decor was very modern. Great property for a group of people. The rooftop spa was fantastic! I will definitely stay again when we return to noosa. Staff were helpful and friendly. Room configurations ideal. Pool area. Absolutely perfect. We had a large family group and the resort was ideal in every way. Thank you we thoroughly loved our stay with you. My family and I had a quiet and restful stay. Apartment was clean and had everything we needed. Would recommend it. Location, friendly staff, size of rooms and fitout. Enjoyed the experience and would stay here again should we go back to Noosa. Have tried four other sites, cheaper and dearer but this is the best in most respects. Loved are stay! Definitely going back! 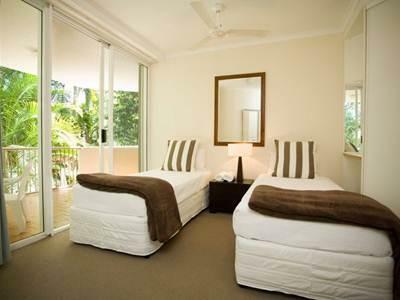 We enjoyed our stay at Noosa Tropicana Resort very much. 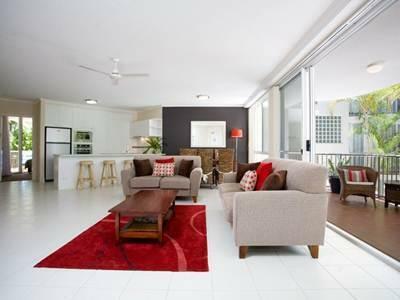 What a delight on entering to find a modern, spacious and clean apartment with everything we needed to make our stay comfortable and enjoyable. The hosts were very friendly and helpful. Plenty of space both in and out of the apartment. 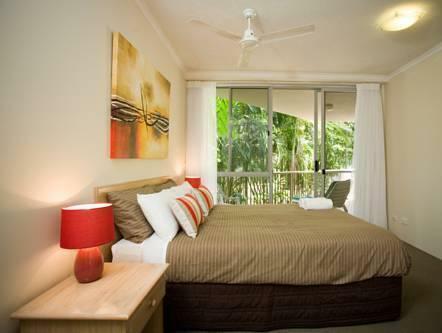 Resort is nicely located for both Hastings Street and Noosaville both within walking distance. Apartment was spacious and fairly well equipped, but a good clean would help, washing dishes is not an ideal start to a holiday. Surrounded by balconies plus a roof terrace give plenty of outdoor options for everyone to have their own space. BBQ on the roof was excellent, and but for a storm we would have eaten up there. Pool is small but very pleasant and certainly convenient for the apartment. this is our second time back to tropicana, and we like that the apartments are spacious and light filled and are fully self contained. things that could be improved: window fixtures were looking fairly tired and could have done with a clean. the fans in both bedrooms made odd "beeping" and "chirping" noises throughout the night at random times, which didn't necessarily support an uninterrupted sleep. close to key restaurants and shops, a nice stay there.